TaxPulse offers you FREE consultation with our principal advocate to help you make informed legal decisions! Click the button to your right and have us call you! No problem is too great! An entrepreneurial, multidisciplinary career of 35 years as a senior govt. 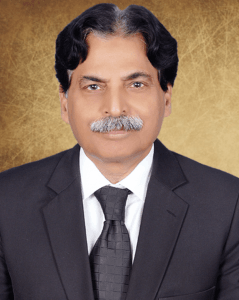 executive in the tax service of Pakistan (28 years) reinforced by a new career of a tax lawyer ( 13th year of law practice) with solid command in the field of taxation, commercial laws, business practice, finance and Accounting. An adjunct professor of taxation laws at two local universities and a sought-after speaker, writer and lecturer on the issues relating to tax policy, legislation, management and culture by various professional bodies i.e. Institute of Corporate Secretaries of Pakistan, Management Association of Pakistan, Institute of Cost and Management Association of Pakistan, IBA Karachi. Reinvented the second career as a tax lawyer (income tax, VAT, customs duty and federal and federal excise and corporate affairs). Presently leading a tax law firm with a track record of positive litigation outcomes, huge tax savings, refund of excess taxes and reporting of important tax cases in the tax journals: 2007. PTD 1780, 2010 PTD (tribunal) 81. Steadily expanding client base from corner shop to the multinational companies and state owned enterprises. Well trained and hands on experience in legal research, fiscal management and public administration. Excellent written, interpersonal and presentation skills. Solid problem solving project management and decision making skills. Visionary and a critical thinker. Proactive and a consummate team builder. Passionate about improving the business process and motivation of the work force. Having no trouble in working under pressure and still being able to give results and meet deadlines. The then Minister for Finance and Economics Affairs awarded special meritorious reward of Rs.1 (M) in August, 1999, on unearthing a pattern of tax evasion of around 150 million in payroll taxation. The name of the game was that the employees of a few Multinationals failed to report for tax purposes the market value of the Stock Options. Member “Task Force on domestic Resources Mobilization” as constituted in August, 1999 by the then Minister / Deputy Chairman, Planning Commission, Pakistan. Member – CBR’s Review Committee on recommendation of IMF on Withholding taxes. Member –CBR Review Committee on PRS Bill. Guest speaker IBA, MAP (Management Association of Pakistan), SZABIST, ICMA, ICSP, Directorate of Training (income tax and sales tax) at Lahore and Karachi. Six years practice in tax litigation and advisory services with respect to local and international tax issues in the fields of both direct and indirect taxes has resulted in client’s tax savings exceeding Rs.50 million and refunds of excess taxes exceeding Rs.100 million. Successfully resolved many tax controversies at the level of the High Court, and special mention deserves the controversy which I won with respect to refund rights of taxpayer within the scope of Section 170 of the new Income Tax Ordinance, 2001. The case was duly reputed in the tax journals of Pakistan: 2007 PTD 1780. Twice appointed as a Commission by the Customs, Excise and Sales tax Appellate Tribunal, Karachi, Pakistan to resolve some tough tax law issues. Directed compliance driven tax regulatory reporting; and internal/external financial reporting. Won a management consultancy tender floated by the Export promotion Bureau (now TDAP). Engaged as an adjunct faculty on taxation laws by some well reputed universities (S.M.LAW COLLEGE) and Hamdard School of Law and on corporate governance by National Institute of Banking and Finance (NIBAF), Karachi Pakistan. This leadership assignment involved chartering of overall strategic direction and feed back to policy formulation with focus on planning, managing, empowering ,motivating, delegating cross functional teams along with alignment of individual goals with organizational objectives. Captained three functional divisions: Corporate, Withholding Taxes Monitoring and Appellate. Supervised four key departments, four general managers and a staff of 500 people. Successfully reengineered business processes while heading Withholding Taxes Division and it registered a record growth of tax revenue from a baseline of Rs. 16 billion to Rs. 22 billion. Ensured quality service to the tax payers by enforcing strict standards of procedural justice across all the administrative layers under my oversight. Unearthed high profile cases of tax evasion and special mentioning is deserved for 100 plus cases of tax evasion in respect of taxable income received by way of stock options but not reported by the executives of almost all the Multinational companies (MNCs) operating in Karachi, Pakistan. Analyzed the revenue impact of significant pending and newly introduced tax legislation and court findings. Established and nurtured relationships with the key stake holders like Chamber of Commerce, Income Tax Bar, professional bodies, staff union, and the community of tax payers at large. Proposed innovative policy changes to the national tax office on the basis of the analysis of the annual operational reports. Tapped into dozens of new sources of tax revenues that have made a lifetime contribution to the tax revenue of Pakistan. Empowered and motivated the workforce and institutionalized the strengths of the outstanding managers and officials. As a middle management assignment it involved the quality control of business operations in respect of tax levy, assessment and revenue collection with focus on meeting the budgetary targets. Supervised 5 to 7 senior managers involved in the work of tax management of various jurisdictions. Conducted hands on training workshops for an effective withholding taxes auditing and enforcing. Prepared new training manual for effective implementation of the newly introduced Capital Value Tax in 1990s. Prepared operational analysis of monthly results, trends and risk profiling for reports to the senior management. Conducted internal inspection reports and recommendation for the operational efficiency of the subordinate offices. Identified the lost man hours and drastically curtailed the process flow from 12 days to 3 days in the tax accounting department while managing an information technology assignment. It was an entry level assignment of the civil service as a tax executive who initiates and enforces the entire tax compliance business cycle in accordance with the federal tax laws. Supervised 10 officials and support staff assigned to look after various stages of business cycle from tax filing to tax recovery. Prepared and analyzed the monthly performance reports and recommended for improved efficiency. Maintained the standard operating procedures. Assisted the senior management in fine tuning the operational procedures. Reviewed the internal inspection reports and external auditing reports. Addressed inquires and complaints from the tax payers, tax practitioners and the business community. Contributed articles in the esteemed newspapers and tax journals on various hot tax issues with focus on enhancing the effectiveness of the tax machinery. Produced quality tax assessment reports by in-depth analysis and interpretation of annual returns, income statements, balance sheets and allied data. Identified various patterns of tax avoidance and evasion in specific sectors of the economy and formulated remedial measures. Guest speaker on current tax issues: institute of Business Administration, (IBA) Karachi, and Institute of Corporate Secretaries of Pakistan and University of Karachi. Member, American Management Association and Member, Management Association of Pakistan. Ex Member- Pakistan Society of Development of Economics. President, Rotary Karachi, City Hills 2002 – 2003.